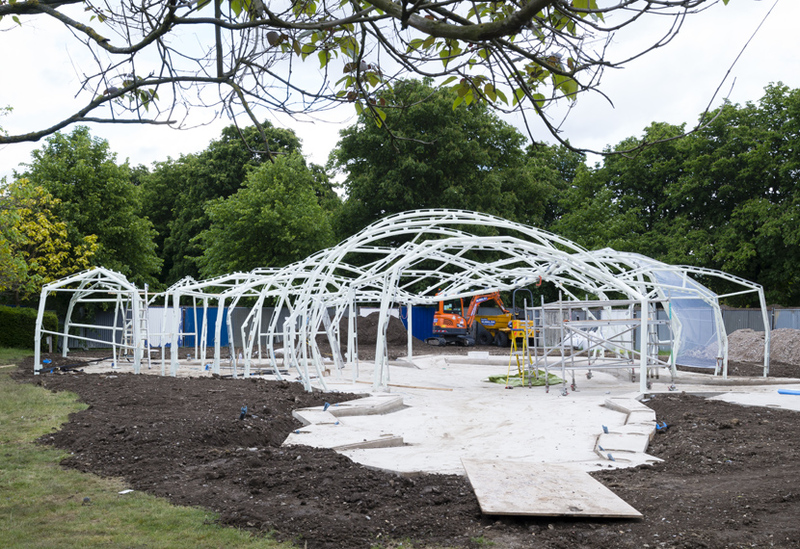 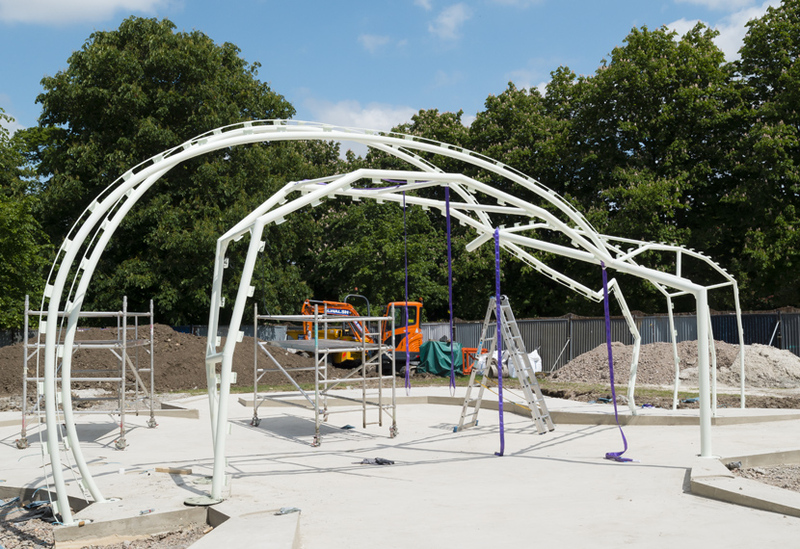 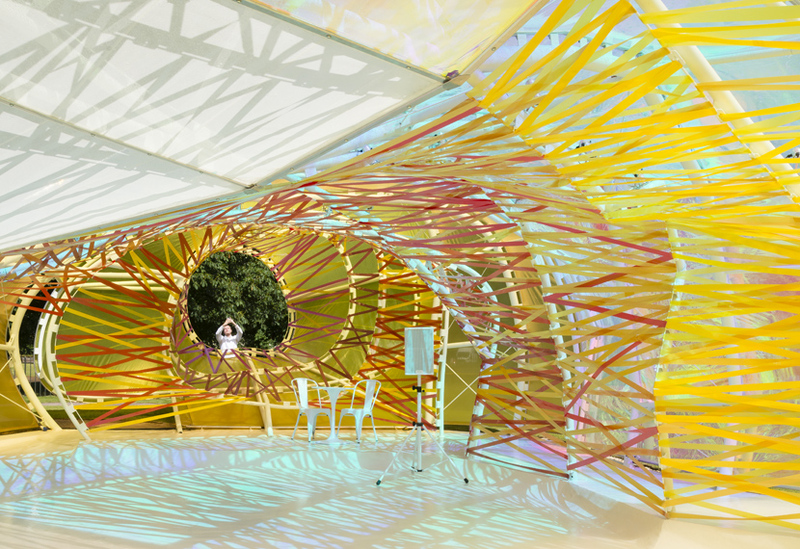 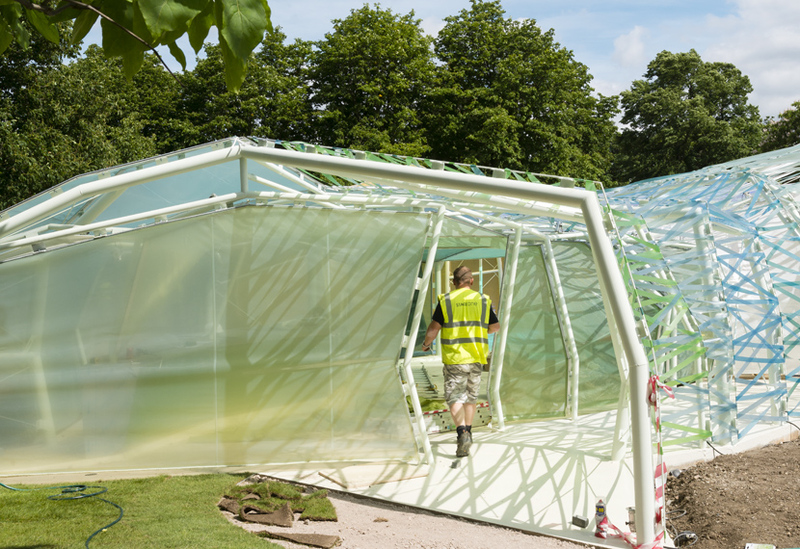 This year’s pavilion takes the form of a polygonal structure comprising a modular skeleton of white steel arches, laced with panels and ribbons of EFTE, a translucent fluorine based polymer. 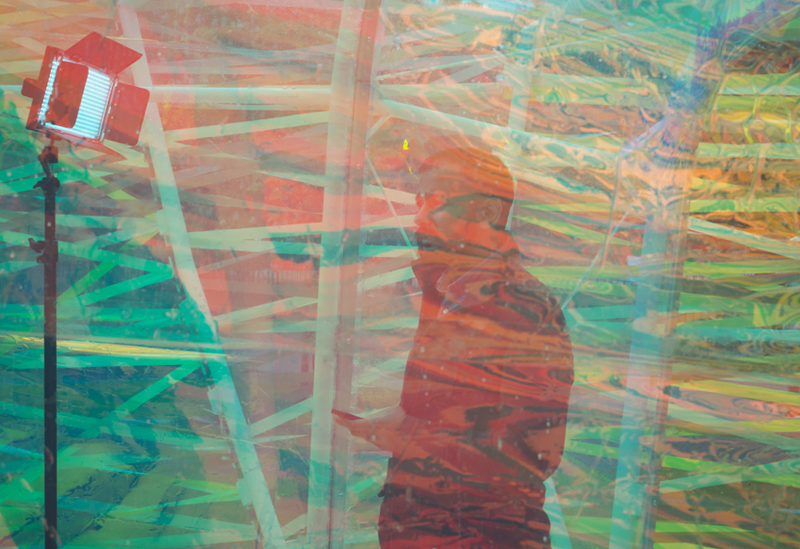 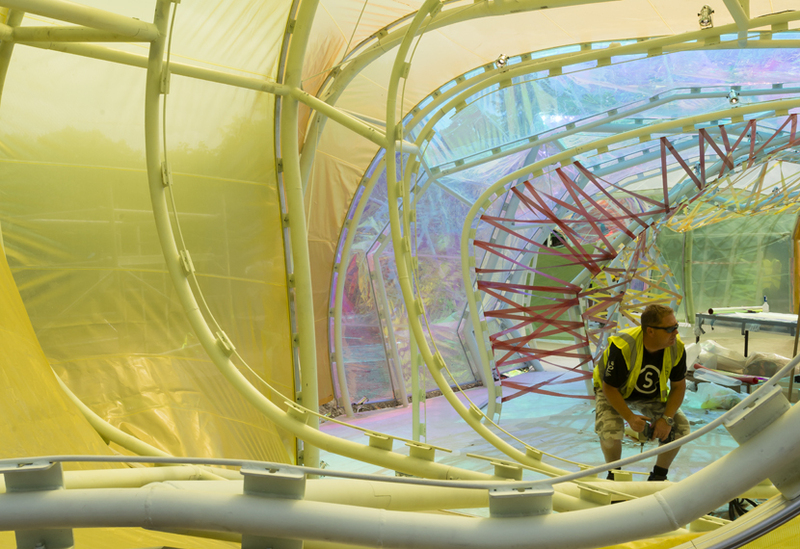 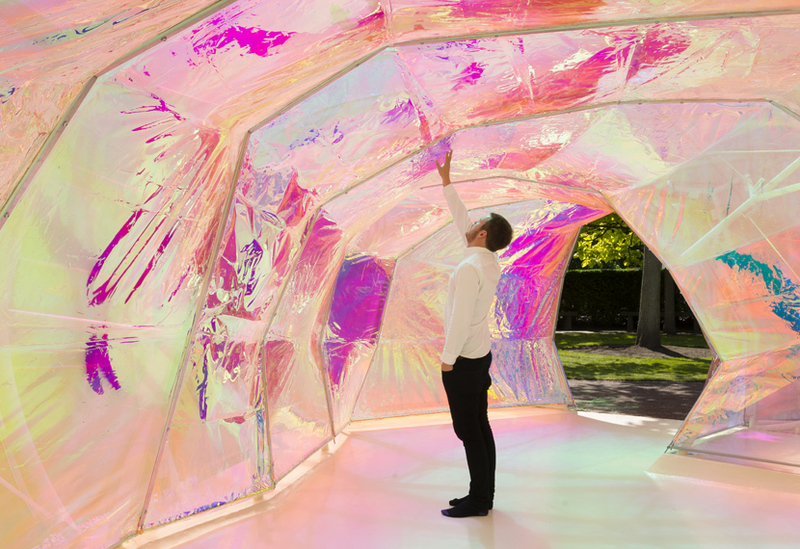 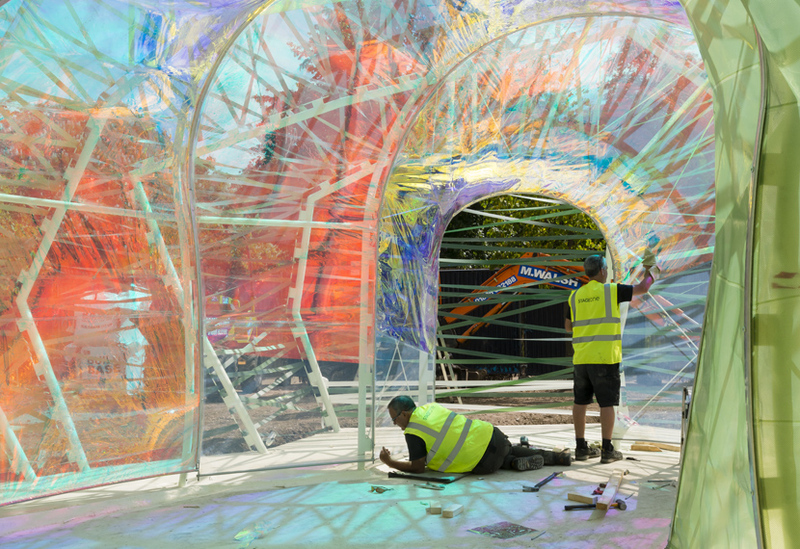 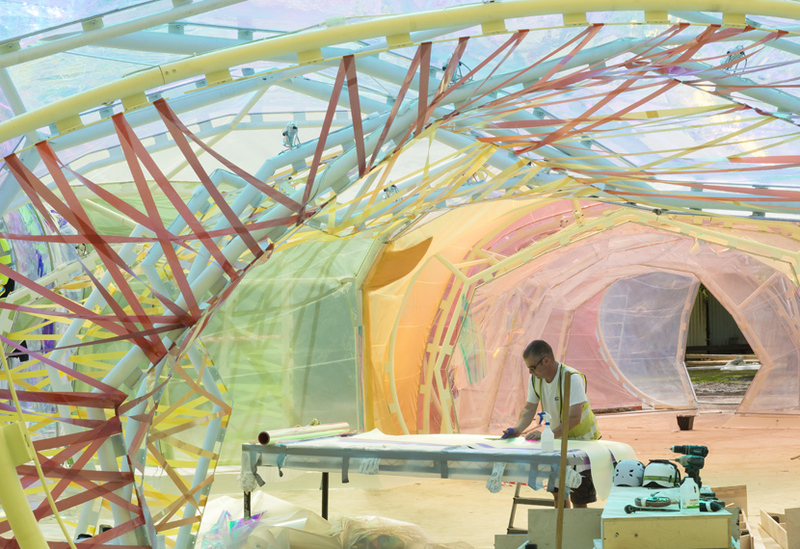 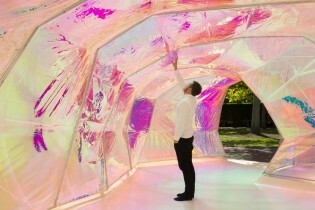 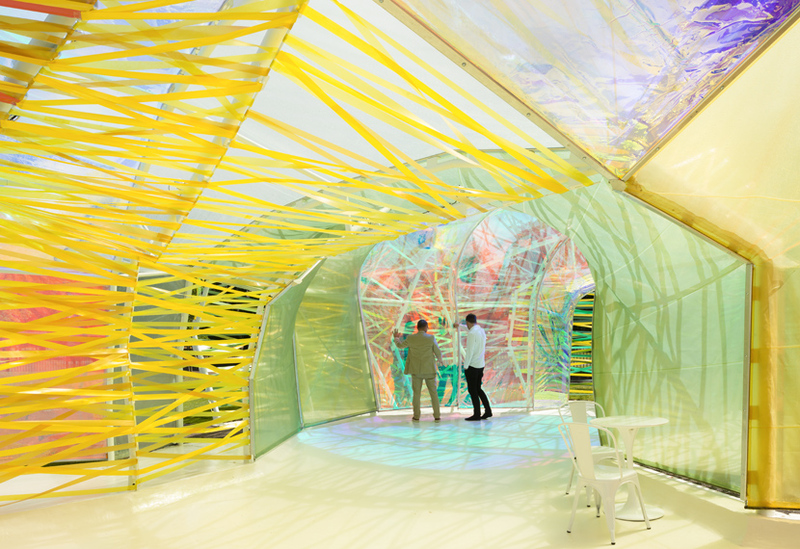 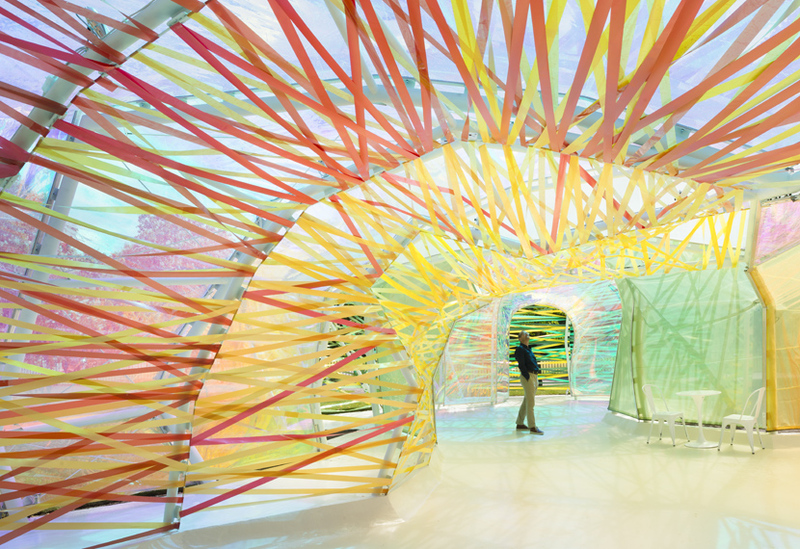 Known for their bold use of colour, Spanish architects SelgasCano have designed an organic and playful double-skinned pavilion that allows visitors to enter and exit at various points and to pass along a secret corridor between the inner and outer layers. 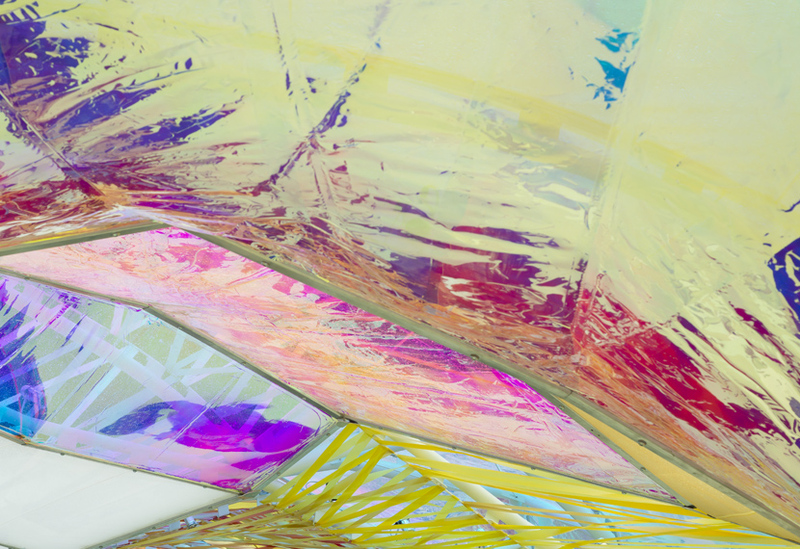 ETFE has a high corrosion resistance, strength over a wide temperature range and also stretches over three times its own length without loss of elasticity, making it an interesting material and one that fully exploits the experimental opportunities offered by the Serpentine commission. 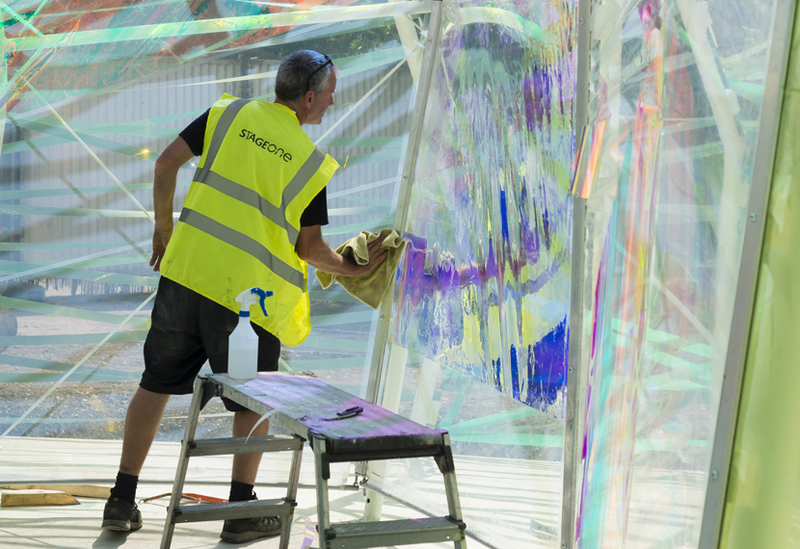 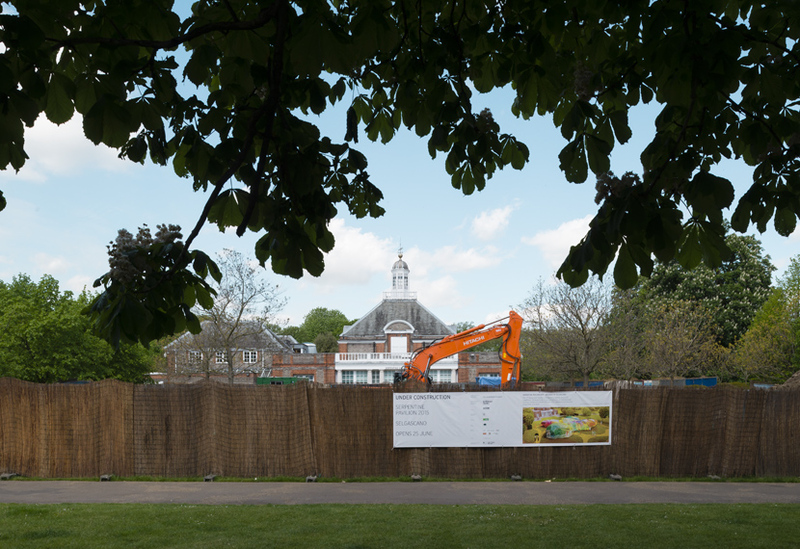 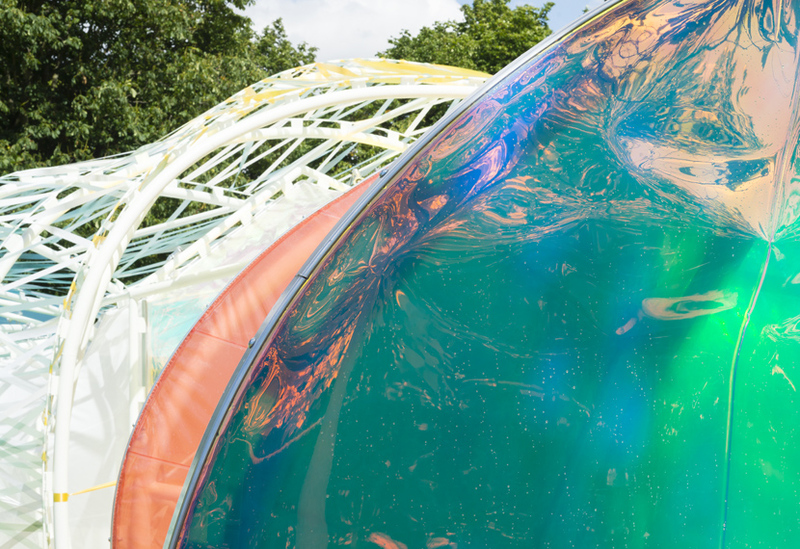 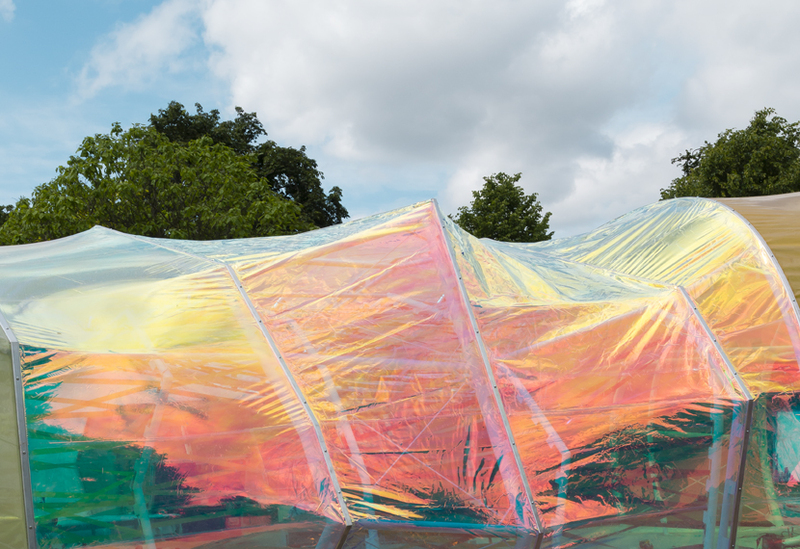 In order to minimise waste, the pavilion’s multi-coloured and iridescent EFTE panels were printed, the weaving, wrapping and layering of these panels adding another dimension to the play of light and shadows experienced inside the structure.